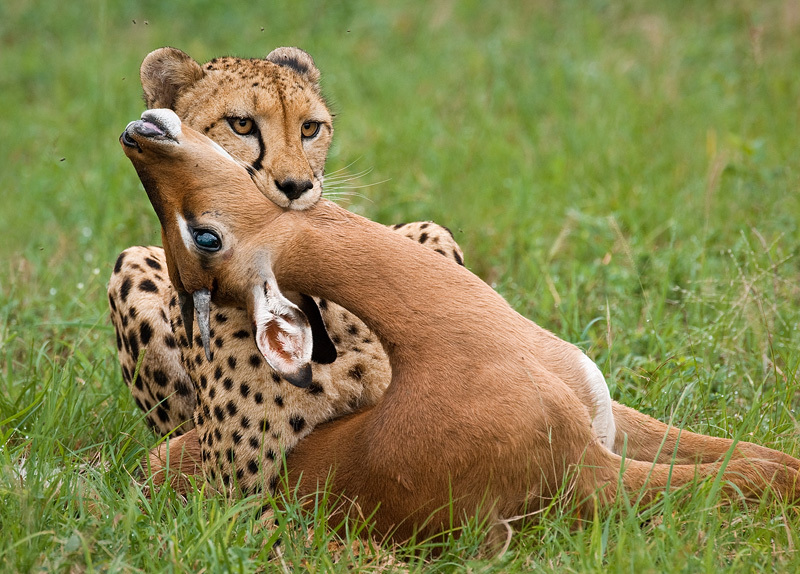 A cheetah (Acinonyx jubatus) has just caught an impala. The cheetah can run faster than any other land animal - as fast as 112 to 120 km/h (70 tp 75 mph) in short bursts covering distances up to 500m (1,600 ft), and has the ability to accelerate from 0 to 100 km/h (62 mph) in three seconds. However, agility, rather than raw speed, accounts for much of the cheetah's ability to catch prey. The cheetah is a vulnerable species (IUCN conservation status). Of all the big cats, it is least able to adapt to new environments.